Increase your visibility, make so that more customers can find you in the Province of Bergamo and around, tell the story of your place at its best, promote events/themed evenings, and much more..
Bergamo a Tavola is the online piattaform devoted to all food and wine realities, exclusively of Bergamo and Province. Get acquainted with thousands of new customers who each month search on the web for new places, events and products from the world of local grocery and local restaurants. All in one place! With your listing on Bergamo in Tavola you will make yourself being found by those looking for a place in Bergamo and Province. The card is designed to be easy to see and visible on all devices, and also contains all the necessary information in one place. Not just a telephone number! In fact, the phone number on your page has the ability to be interactive by offering the possibility to launch a call directly with a simple click or a tap from any mobile / smartphone or fixed / desktop device. The most demanding and curious users and clients, who want to be more aware of your business, will easily be able to connect to your website. The link also has a strategic importance for SEO optimization actions. The map shows exactly the geographic coordinates of your business or place, allowing the visitor to launch its online navigation system with a simple touch and reach you smoothly and without troubles. We have given great importance to the images, because on a screen we thing they're the mirror of your place. We can include unlimited images of your business, provided they are of high quality and high resolution. Whether you're using Facebook, Instagram, Twitter or any other social network, we'll post links to your channels. We first use these channels because we know their importance for the modern communication. Bergamo a Tavola offers the visitors the opportunity to search in a simple and intuitive way through categories: restaurants, pastry shops, wine shops and many others. We've included a very comprehensive list of categories to help you find the right one for your business and at the same time offer the user the most complete range of information. The search by category is one of the most used by internet users who want to discover new realities, in all fields, not just in the enogastronomic domain. So we thought and created a complete list of categories from which you can choose up to 3 for your place or business. Thanks to the categories we create filters that make it easy to find all the places and shops that reflect the wishes of the consultant. Once the list is reached, the user can visit your page and know more about your business. With 3 active categories, your place will be much more visible. 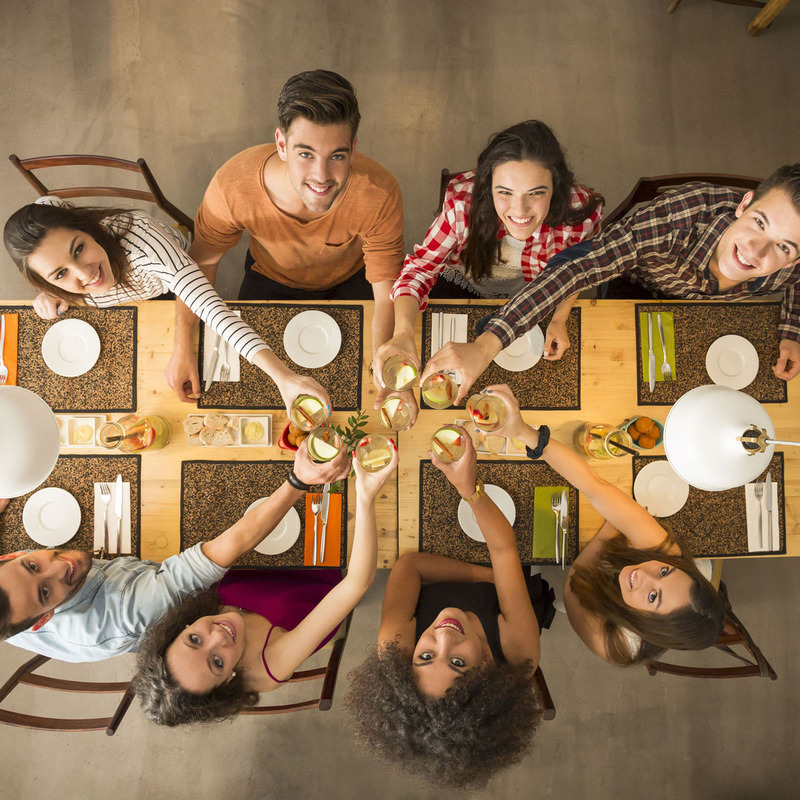 We have included all the major categories covering all the activities that somehow have to do with the table, from restaurants to ice-cream shops. However, you may not find the category that best represents you. If so, let us know which is your category: we could add it! Each place has features that can distinguish it. There are very common features such as the ability to make a payment with a credit card, but there are some others that are less, such as the ability to offer a children's play area. So we've created a full list of features to help you being found from those users who look for a particular facility. Often when you are looking for a place to dine, or have an aperitif, you have special needs. There are those who have to bring a little dog, who has two small children, who would like to see the Champions League final. That is why it is very important for the user to be able to find the place that can fully meet his / her needs. In addition to the categories that best represent you, you can define your business features and facilities and allow the user to find you just because you meet all their needs. Defining all the features of your place or shop is important because it increases visibility and provides the user with a precise search result. The choice between all the features we have included is very wide, but it is likely that the peculiarity that characterizes your business or shop is not included in our listings. Don't worry! Just tell us the facility or feature you would like to have on your page and if it sounds reasonable, we will add it no time! We've designed a system that allows you to create a very simple discount coupon to offer to your page's visitors. The discount voucher, in the era of the web, is one of the best ways to promote your business and let people know about it! Users lately are increasingly searching for new places to explore and to know. What better way to let them taste your creative preparations, if not offering them the chance to save some money as well? Our system is very easy and simple to use, both for you and your visitors. Discount coupon systems are present on the web from years now. They all work, for sure, but they all withhold a percentage of the total amount spend. Our very own system, on the other hand, allows you to offer all the discounts you wish without holding any percentage! You will be able to fully control the amount and use of discount vouchers operated from Bergamo a Tavola. You will be able to tell us a number limit and have the security that the voucher will only be used by those who have actually requested them for real, from our platform! Do you create special events or dedicated themed evenings often? Thanks to Bergamo a Tavola everyone will be able to discover your initiatives. Events of this type are highly sought after among internet users. The problem is that many times the effort to create a themed evening gets vanished if the event is not properly communicated. Today, thanks to our tools, you can easily reach thousands of people. Users love to search the web and find original events, themed evenings and tastings where pleasant moments can pass. We have created a tailor-made offer for those who are organizing this kind of initiatives. Our editorial team will think about publishing, creating content and thinking about how to reach as many people as possible. You just have to think about organizing your event and get ready for it. Thanks to the events that you will publish, your Bergamo a Tavola page will be even more visible. In fact, before all else, it will appear in both categories and location searches. It will also be highlighted on our main page and in a special section dedicated exclusively and entirely to the events (which we are currently studying and developing for you and that will shortly be online). If your initiative is repetitive and cyclical, that is, if it is repeated every day, every Friday, every month on a certain date, or every year, it's enough to just create a single event in our system. We'll then give it the right highlight throughout all its life. If your initiative is not cyclical or changes from time to time? Even in this case we have the right solution that is spot on for you and your business! Thanks to our multi-year experience in the field of web design and development, we offer tailored solutions for all restaurateurs and places. Thanks to our partnership with Google, we're able to offer the creation of Google Business View, its integration into Google Maps and data verification. Present your place in the best possible way and put the most original and creative dishes under the spotlight, thanks to professional quality photo shoot. Tell your story, share your passion, showcase your author's dishes and engage more and more people, attracting new customers. 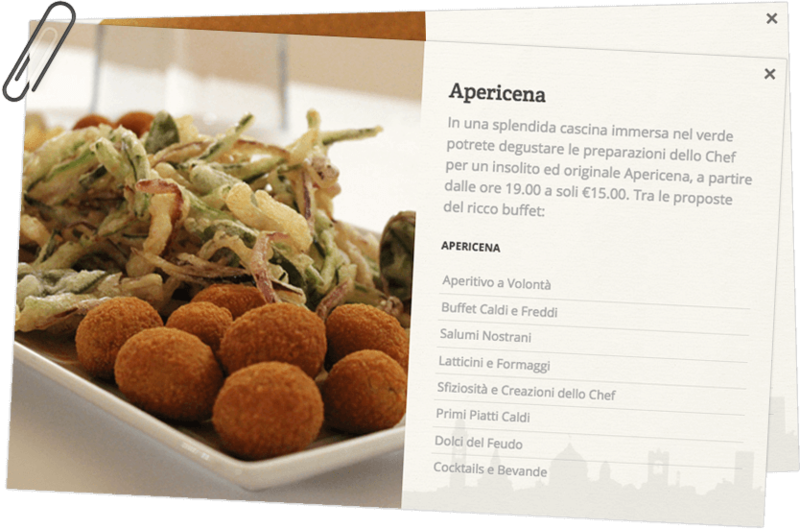 You have to re-make the menu but you want a presentation of impact? Our designers will study with you the most appropriate solutions. Trust us in organizing your online advertising campaigns, tailored to your needs and targeting your most important customer type. Do you need our help? Choose below which services you are interested (even more than one) and fill out your information. You will be contacted by one of our agents to further examine your needs.